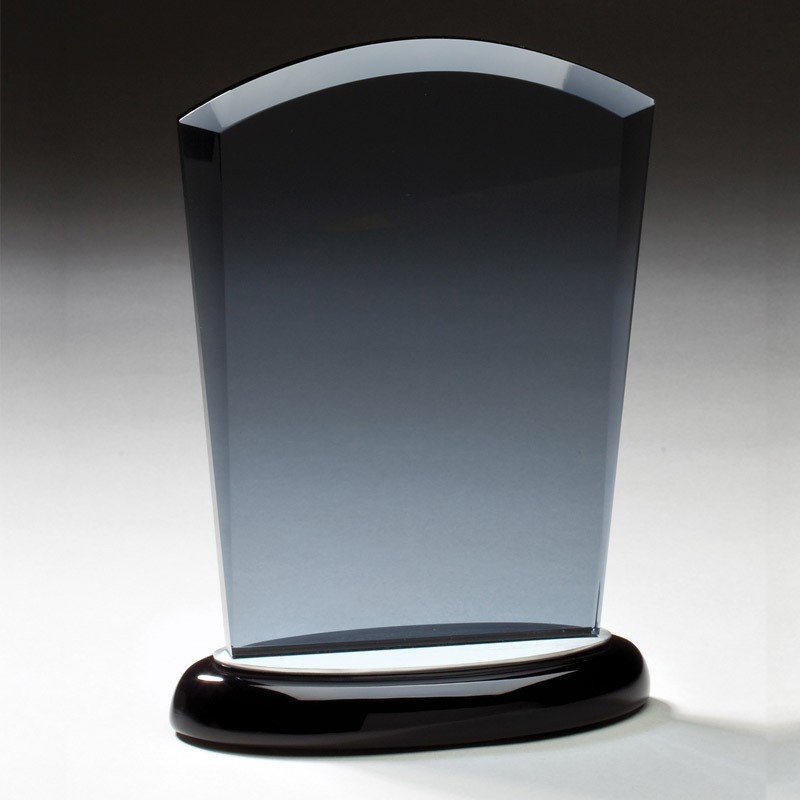 Item Description: 8 x 5-1/2 inch Smoked glass award on black base. Comes with gift box. 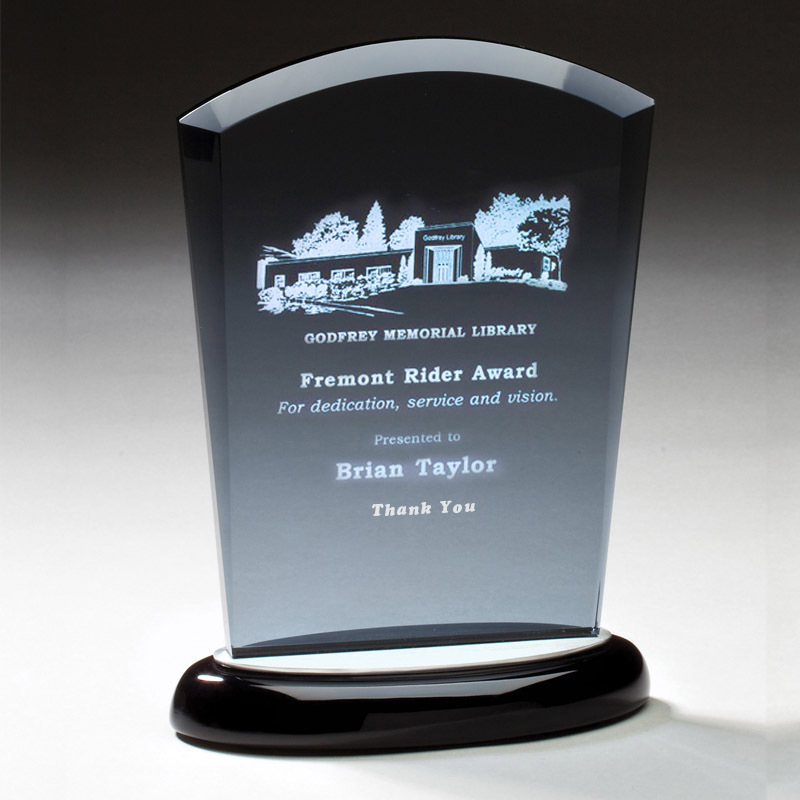 Laser Engraving Options: Engraving price includes plain text maximum of 8 lines or logo and text. 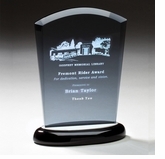 Please enter text below or you can also upload your files via Upload Artwork File or Engraving link below. Only black and white camera ready artwork made in Corel Draw or Adobe Illustrator/Photoshop are accepted for logo engraving.